While digging up Christina Moss Naturals Facial Moisturizer reviews, one thing that really caught my attention apart from the fact that this is an extremely popular 100% all natural and organic facial moisturizer was the fact that this product is recommended by the company as an anti aging moisturizer for both oily and dry skin that is also suitable for sensitive skin. From my experience, it is not such a common thing to come across moisturizers that are good for both cases of dry and oily complexions, so that surely triggered my curiosity to find out more about the product and what people with those types of skin had to say about it. Also, from what I discovered, Christina Moss moisturizer does not only seem to be non aggravating for Rosacea prone skin but it also works well to calm down the skin. People with sensitive skin and eczema have also mentioned how non irritating and soothing it is, making their complexion feel really soft, soothed and adequately moisturized. 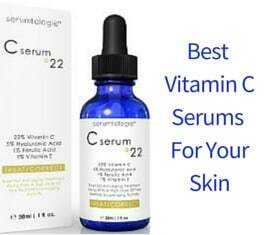 Moisturizes, softens and repairs damages skin. 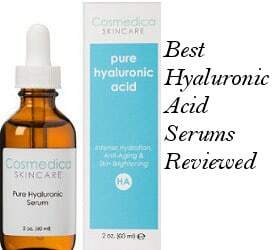 Suitable for all skin types including sensitive, oily, combination and dry. Free of Petrochemicals, SLS, SLES, Parabens, PG, PG derivatives, dyes, sulfates and synthetic chemical fragrances. Jars made with recycled plastic and labels are biodegradable. Comes in a 1 ounce container. A ¨How To¨ Basic Skincare Included in your purchase as well as 2 natural DIY face masks. 6 months Full Money Back Guarantee. When using this organic moisturizer, a little goes a long way, so simply dot some of it on your cheeks, forehead, chin area, neck, and decollete as well as apply a small dot under the eyes and gently massage in. The company recommends that you use this facial cream cold, so either store it in your refrigerator or keep in a cool place. The shelf life of this product is 6 to 8 months. Certified Organic Aloe Vera, Certified Organic Apricot Kernel Oil, Certified Organic Grapeseed Oil, Certified Organic Avocado Oil, Certified Organic Vegetable Glycerine, Organic Star Anise Seed Oil, Emulsifying Wax (made from organic coconut oil and organic almond oil) & Stearic Acid. Quite interestingly, for all those harmful chemical fillers and binders to be avoided, a natural preservative was chosen to be used in this facial moisturizer and that is Star Anise seed oil. While the company only uses a handful of ingredients, each of these ingredients appear to be designed to soften your skin and help it hold in moisture. Many users will like the fact that the ingredients are all organic and natural and that this moisturizer does not contain any extra ingredients that can interfere with the function of active ingredients. Well known natural components are contained in this formula like Aloe Vera, which is known to heal the skin and provide moisturization, grapeseed oil, avocado oil and few others. Christina Moss Naturals Facial Moisturizer reviews are very positive. People with dry skin think that this product is emollient enough and leaves their skin supple, soft, smooth and nicely moisturized without any grease. While for some users it worked quite well to clear their dry spots, other users mentioned using also coconut oil on very dry areas that needed extra moisturization. Still, this product seems to be healing in some way, offering a nice soft feeling to the skin that people seem to notice and love. In the cases of oily and combination skin, users say that this is a light product that doesn´t cause any breakouts and is able to control and fight off their oiliness while also providing adequate nourishing. In the product claims, it is mentioned that this is also an anti aging and anti wrinkle moisturizing cream which naturally helps in the reduction of fine lines and wrinkles. 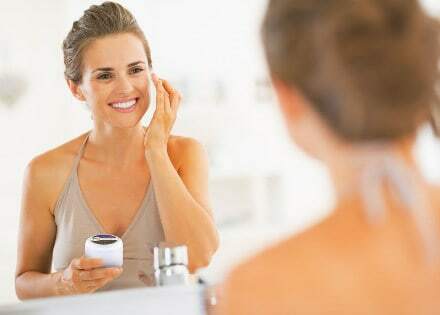 Still, by having a quick look at the ingredients list, no potent anti aging ingredients are mentioned, so what we can gather is that by the company claiming natural reduction of wrinkles, they probably mean that the good quality natural and organic ingredients are effective and moisturizing enough to improve the natural resistance of your skin to aging. From what I was able to make out, users don´t seem to be focusing on the anti wrinkle effect that much, but they are mainly pleased regarding the nourishment, moisturization, non irritating, softening and balancing effect this moisturizer provides them with. They also like that a little goes a long way with this product since it can last quite long and the majority find that its price is very reasonable. 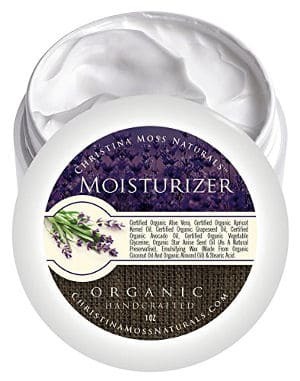 So, let´s have a short look at some other skin benefits reviewers have mentioned about Christina Moss Naturals moisturizer. 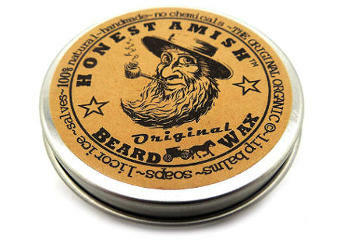 Absorbs Fine: It quickly absorbs into the skin without leaving behind any greasy feeling residue. This is especially important if you are using this product prior to going to bed or putting on makeup. Works Well Under Make-Up: Women feel it works well under make-up and it even makes their makeup go on smoother. Doesn’t Cause Breakouts: Considering the amount of oils in this cream, many users are surprised that it doesn’t cause them to breakout. Even those with acne prone skin found that this product did not result in acne and instead left their skin feeling fresh, clean and hydrated. Nevertheless, there is some disagreement as to the scent of this facial cream. Some users really like the black licorice scent while others find it difficult to spread this scent all over their face. Luckily and according to the company´s claims as well as people´s comments, the scent is not long lasting and disperses quickly. After reviewing Christina Moss Naturals Facial Moisturizer, I think that is an all time natural and organic face product with good quality ingredients and a lack of harmful skin fillers and binders. People love its ability to moisturize and soften their complexion. It also seems to be healing and helps people with some sensitive skin issues to prevent and in some cases even to improve their skin condition. So, if the black licorice scent, which dissipates fast, doesn´t bother you, it is also useful to know that this product has a very big fan base and is actually backed by a 6 month full money back guarantee.